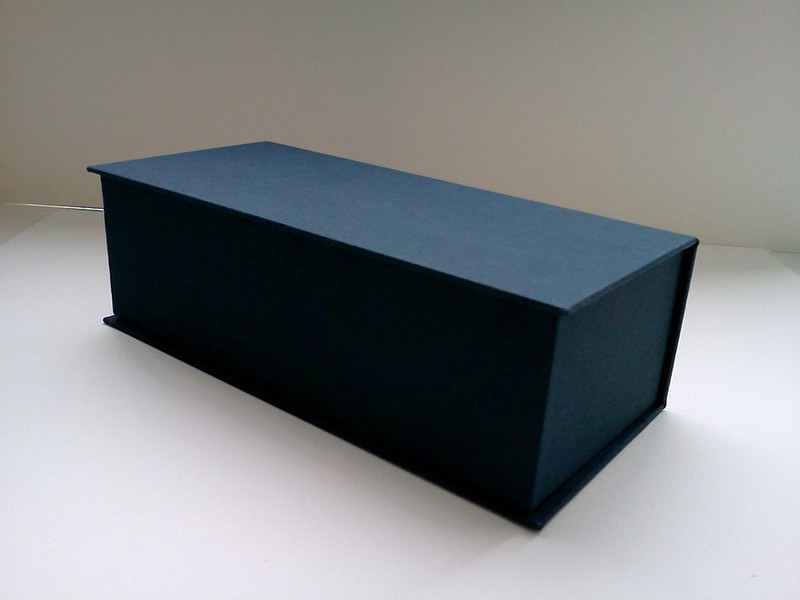 The clamshell box above was made as a wedding gift for a couple to their son and daughter - in - law. The box was created to hold silverware, (specifically fish knives and forks) that had been passed down through four generations. 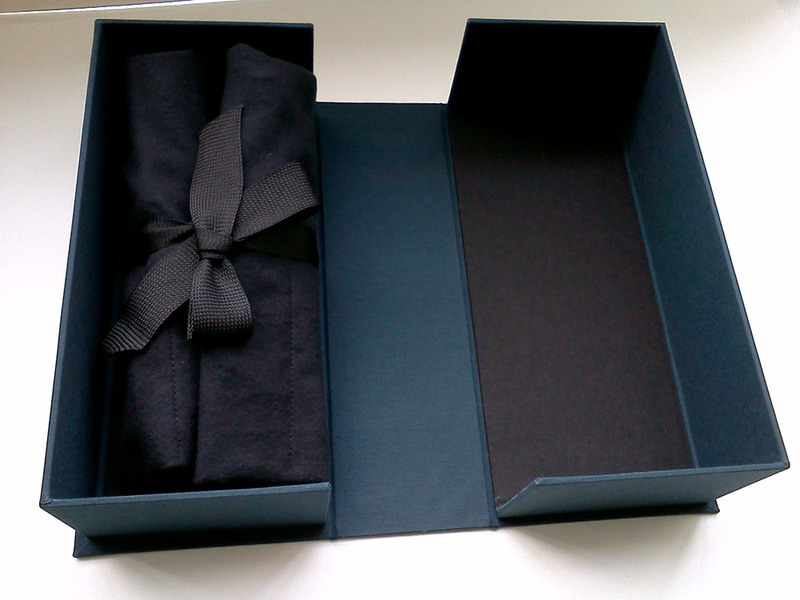 The box was covered in a navy blue book cloth on the exterior and a black book cloth for the inside. You can read more about the silverware story here. These clamshell boxes were created to house the Gun-Wad Bibles. They were printed in Germantown by Christopher Saur in 1776. His father, a German immigrant, produced the first two editions which were the first bibles printed in the German language in America. The boxes were wrapped in brown book cloth with a goatskin leather label adhered to the spine and gold stamped with the title.